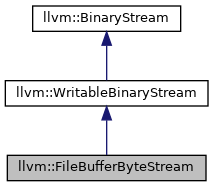 Definition at line 205 of file BinaryByteStream.h. Definition at line 235 of file BinaryByteStream.h. Definition at line 259 of file BinaryByteStream.h. Definition at line 265 of file BinaryByteStream.h. Definition at line 262 of file BinaryByteStream.h. Definition at line 239 of file BinaryByteStream.h. Definition at line 253 of file BinaryByteStream.h. Definition at line 243 of file BinaryByteStream.h. Definition at line 248 of file BinaryByteStream.h. Definition at line 255 of file BinaryByteStream.h.